Features: Stainless. Adjustable Stock. Match Grade. Threaded. 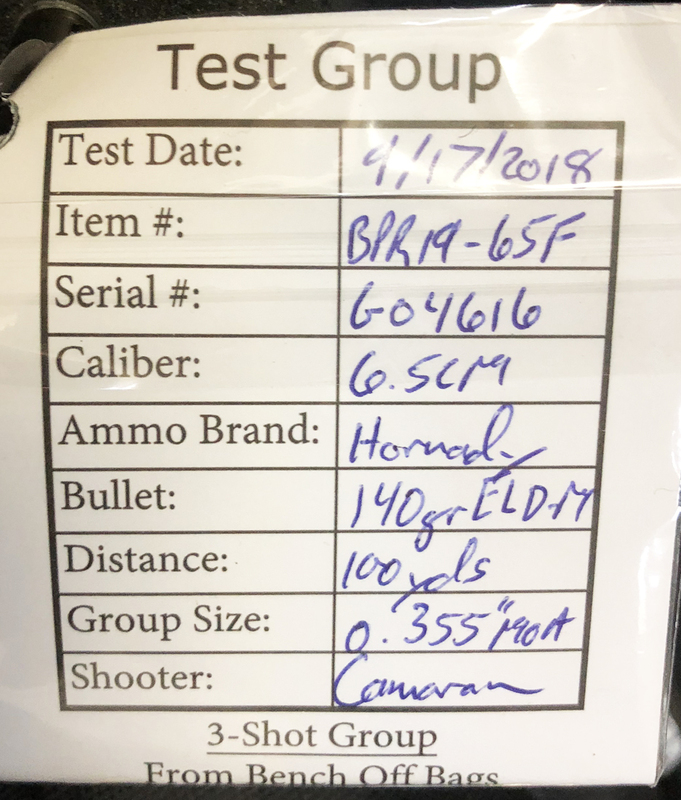 THE ANTICIPATED BERGARA PREMIER HMR PRO! Bergara Premier Series is an extension of their Custom Series, but with standardized features for greater efficiencies in parts production and assembly – providing near custom performance at prices that are affordable to serious shooters. Bergara’s Premium 416 stainless steel barrels receive a proprietary honing process at our barrel-making facility in Bergara, Spain. 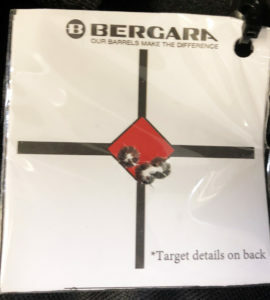 Then, at the Bergara USA factory, the barrel receives a Cerakote finish and is coupled with the proprietary Bergara PREMIER action, featuring a nonrotating gas shield, coned bolt nose, and sliding plate extractor. This action is designed as a two-lug system that features a separate floating bolt head to ensure contact with the lug abutments in the action. It also features a cone-shaped bolt nose for smooth feeding of the cartridge, and a spring-loaded sliding plate extractor located in the front of the lower locking lug. The one-piece bolt body is stainless steel with a pad at the rear to accept the threaded-in bolt handle. The bolt head, the non-rotating gas shield, the bolt handle, and bolt shroud are fully Nitrided for extreme durability, as well as its self-lubricating properties. The two-position safety is part of the trigger assembly, which in the HMR Pro rifle is a TriggerTech Frictionless Release Technology trigger. One great feature of this combination allows the bolt handle not to lock in the closed position, which in turn allows the rifle to be unloaded while in the safe position. All premier series rifles are capable of producing sub 1.0 MOA or less with quality factory match grade and come with a certified target. Features: Adjustable Stock. Match Grade. Threaded. Condition: New in Bergara Soft Case! Now in the ultra accurate / virtually no recoil 6mm Creedmoor! The B-14 HMR rifle features an integrated mini-chassis molded into the stock to give the rifle repeatable bedding and accuracy. It also supports a fully free-floated barrel to achieve optimal precision. The Bergara Hunting and Match rifles are built to offer a rifle for both hunters and competition shooters that can perform incredibly in either situation. The stock features an adjustable cheekpiece and length of pull spacers. Built in Spain at a highly automated and efficient barrel factory, this rifle delivers a level of quality and performance that is unmatched in its price range. The (#5) Bergara 4140 CrMo steel barrel is finished in matte blue and is 26 inches in 6mm Creedmoor, which weighs 9.7 lbs. The muzzle is threaded 5/8-24″ and includes a thread protector. A 5-round AICS detachable magazine is standard with any HMR rifle. QD flush cups are included in the stock to allow for easy attachment and detachment of slings. Comes with a Bergara soft case! The (#5) Bergara 4140 CrMo steel barrel is finished in matte blue and is 22 inches in 6.5 Creedmoor, which weighs 9.25 lbs. The muzzle is threaded 5/8-24″ and includes a thread protector. The ultimate Elk/Long Range Rifle! 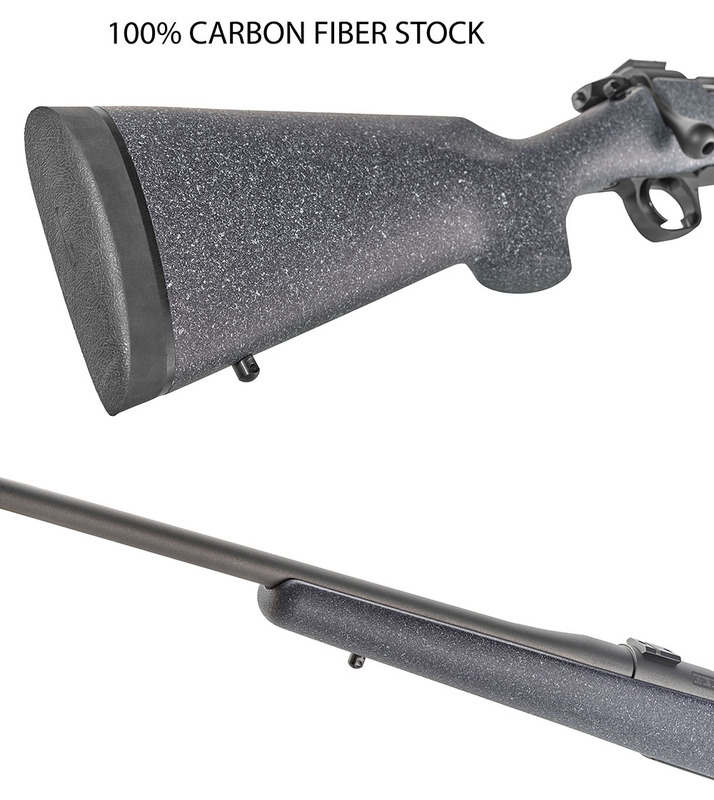 New caliber in the best value bolt action in the market! BERGARA HMR (HUNTING & MATCH RIFLE) in 300 Winchester Magnum! The (#5) Bergara 4140 CrMo steel barrel is finished in matte blue and is 26 inches in 300 Winchester Magnum, which weighs 9.6 lbs. The muzzle is threaded 5/8-24″ and includes a thread protector. 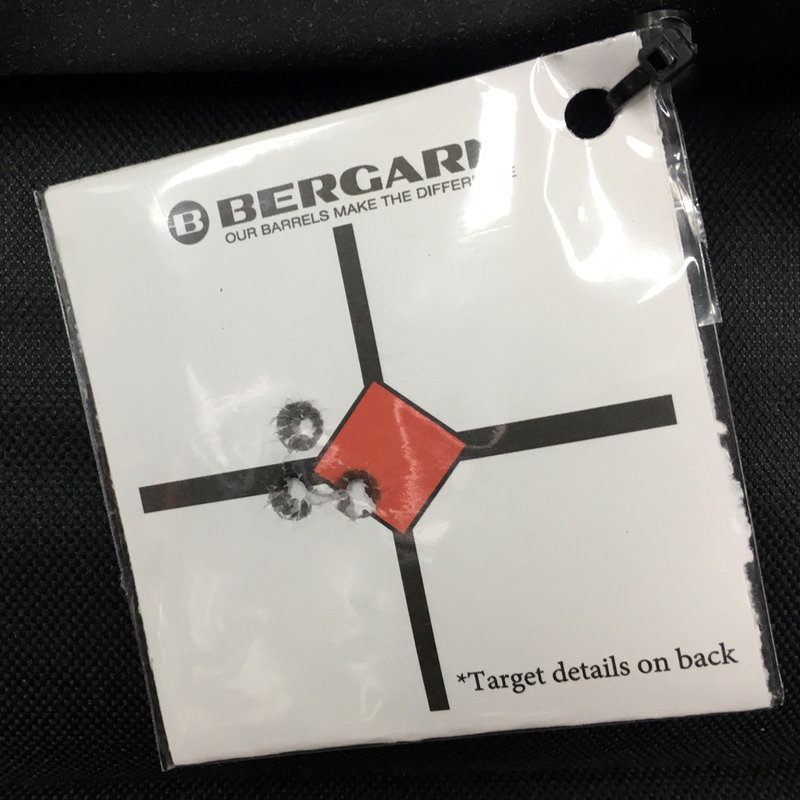 Condition: New in Bergara Soft Carrying case! Price: $1,879 Credit, $1,841 Cash! $30 Shipping by UPS. 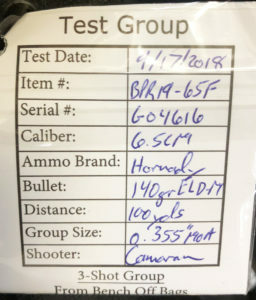 Bergara Premier Mountain Rifle 6.5 Creedmoor! The Premier Series is as close to custom as it gets, but with standardized features for greater efficiencies in parts production and assembly. The Premier Series Mountain Rifle concentrates in providing a lightweight option for the hunter on the move at only 6.2lbs! It features a Premium 416 stainless steel Bergara barrel (#2 taper), which receives a proprietary honing process at their state-of-art barrel-making facility, and then continues through another four stages of production to manufacture the most accurate production barrel it could possibly be made. 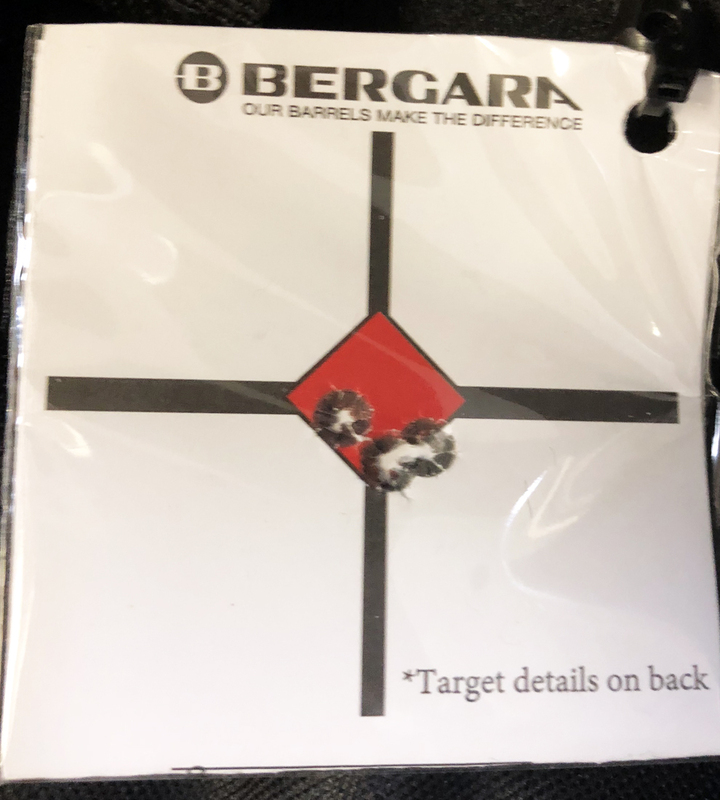 Upon completion, the barrel receives a Cerakote™ finish and is coupled with the Bergara PREMIER action, all of which is completed at Bergara’s facility in Lawrenceville, GA USA. The Bergara Premier Series Mountain rifle features a 100% Carbon Fiber stock made to reduce weight to a meager 6.2 lbs. This is the perfect rifle to take deep into the woods or up brutal mountains. The Mountain Rifle features a TriggerTech® trigger with Frictionless Release Technology™ and a No. 2 taper 22″ barrel Premier Mountain Rifle is one of the all-around best hunting rifles on the market! The Rifle features a custom engineered full carbon fiber stock, built by a group of craftsmen who cut their teeth in the aerospace industry. The stock is extremely lightweight, rigid, and durable. Its one-piece construction is the key to its superiority over other carbon fiber stocks, most of which are made of two molded halves that are bonded together. This type of attention to detail and quality creates a rifle that is ready for any environment! The Mountain Rifle uses the Bergara Premier Action. This action is designed as a two-lug system that features a separate floating bolt head to ensure contact with the lug abutments in the action. It also features a cone-shaped bolt nose for smooth feeding of the cartridge, and a spring-loaded sliding plate extractor located in the front of the lower locking lug. The one-piece bolt body is stainless steel with a pad at the rear to accept the threaded-in bolt handle. The bolt head, the non-rotating gas shield, the bolt handle, and bolt shroud are fully Nitrided for extreme durability, as well as its self-lubricating properties. The two-position safety is part of the trigger assembly, which in the Mountain Rifle rifle is a TriggerTech® trigger with Frictionless Release Technology™. One great feature of this combination allows the bolt handle not to lock in the closed position, which in turn allows the rifle to be unloaded while in the safe position. The Mountain Rifle comes standard with a hinged floor plate, and a 22” Bergara Barrel. Scope bases and Bergara Soft Carrying case are provided! • Action: Bergara Premier Short. Scope bases provided. Bergara Soft Carrying case included. CLICK ON PICTURES FOR MORE RESOLUTION!